Studying fish audiology and analyzing the effects of plants on human cardiovascular systems are two topics Dr. Matthew Weeg feels passionate about. 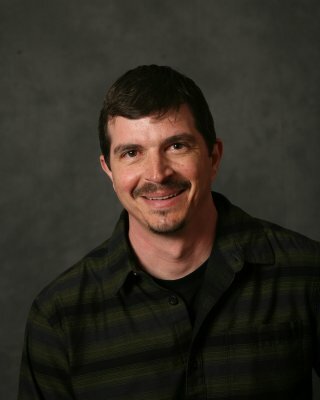 Committed to undergraduate education excellence, Dr. Weeg is a Southern Utah University associate professor of biology and director of the Center of Excellence for Teaching and Learning, who enjoys spending time in the classroom teaching students. 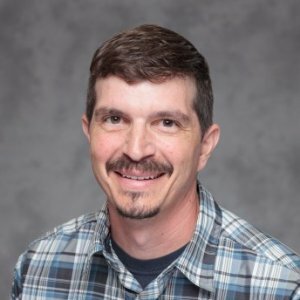 Originally from Pocatello, Idaho, Dr. Weeg’s course lineup includes general biology, physiology, pathophysiology, neurobiology, and animal behavior. In addition to classroom teaching, he mentors student field research projects, providing experiential learning opportunities to students. Projects have included an investigation into the link between fire retardant and Parkinson’s disease, testing effectiveness of fish oil in treating asthma, and examining effects of plant compounds on cardiovascular physiology. Dr. Weeg is actively involved in faculty development at SUU and serves as associate director for the Center for Excellence in Teaching and Learning. He earned his bachelor of science degree in biology at University of Idaho, and a Ph.D. in neurobiology and behavior at Cornell University. Previously, he taught at Colorado State University, Michigan Tech University, and Penn State Altoona. Recognized for his dedicated persistence in working with undergraduates on research. The study marks the first time that scientists have found a direct line of communication between the part of a vertebrate's brain that controls the vocal muscle system and the part of the ear that hears sound. The researchers believe that understanding the auditory system of the plainfin midshipman fish (Porichthys notatus ) -- a 6- to 10-inch fish found along the coastline from Alaska to California -- will offer insights into how other vertebrates -- including humans -- hear. The use of chemical de-icers raises salt levels in roadside streams and ponds, which has adverse effects on tadpole development. Experiments on the effects of de-icers on tadpole development are often hampered by difficulties measuring body size without introducing handling stress that may skew results or cause unintended mortality. We have found a linear relationship between surface area and body mass in tadpoles that is unaffected by exposure to salt. Measuring surface area is therefore a suitable technique whose use should be encouraged when investigating the effects of salt exposure on tadpole growth and development. In many regions of the US, salts are used to clear roads of snow and ice in winter. These salts contaminate runoff and significantly increase the salinity of roadside ponds, which can have both direct and indirect effects on tadpole mortality. Toxicology studies have shown that sufficiently high salt concentrations are lethal to tadpoles, thus directly contributing to tadpole mortality. Less is known about how sub-lethal salt concentrations may affect tadpole behavior and thus contribute indirectly to mortality. Tadpoles exhibit a characteristic anti-predator escape behavior that consists of turning the head and swimming in the opposite direction from a predator, thus increasing the chances of surviving a predation attempt. The escape response is mediated by the lateral line, a sensory system that detects water movement. Normal function of the lateral line is dependent upon ion concentrations in the surrounding water. We predicted that exposure to salt would interfere with escape behaviors through disruption of lateral line function. To test this, we exposed green frog tadpoles to freshwater or sub-lethal salt concentrations (200mg/L or 800 mg/L NaCl) and measured escape behaviors elicited by water jets. We then compared response latency and swimming distance across the three experimental groups. All sonic vertebrates face the problem of sound production interfering with their ability to detect and process external acoustic signals, including conspecific vocalizations. Direct efferent inputs to the inner ear of all vertebrates, and the lateral line system of some aquatic vertebrates, represent a potential mechanism to adjust peripheral sensitivity during sound production. We recorded from single efferent neurons that innervate the inner ear and lateral line in a sound-producing teleost fish while evoking fictive vocalizations predictive of the temporal features of natural vocalizations. The majority of efferent neurons showed an increase in activity that occurred in-phase with modulations in the fine temporal structure of the fictive vocalizations. Many of these neurons also showed a decrease in activity at fictive vocal offset. Efferents to the sacculus, the main auditory end organ, showed features especially well adapted for maintaining sensitivity to external acoustic signals during sound production. These included robust phase locking of efferent activity to each cycle of a fictive vocalization and a long-duration rebound suppression after each fictive vocalization that could provide a rapid, long-lasting period of sensitization to external acoustic stimuli such as the call of a conspecific. These results suggest that efferent activation by the vocal motor system can directly modulate auditory sensitivity to self-generated sounds and maintain sensitivity to ongoing external sounds. Given the conserved organization of the auditory efferent system across vertebrates, such mechanisms may be operative among all sonic vertebrates. It provides a basic foundation in the areas of biochemistry, organization and function of cells as well as the transmission of genetic information. Lab to accompany BIOL 1610. Introduction to Pathophysiology for the health sciences student. Using a systematic approach to cellular and then organ system changes, students will gain an understanding of physical changes, methods of evaluating, diagnosing and treating health alterations. Systematic study of the functions of the human body from the cellular to the systems. Lab to accompany BIOL 2420. Study of mechanisms of function of major organ systems in the vertebrate body, especially the human, with emphasis on the cellular and molecular level. Lab to accompany BIOL 3270. An introduction to the structure and function of the nervous system. Topics will include cellular neurobiology, how organisms sense and respond to environmental stimuli, and cognitive neuroscience. Study of adaptive value of animal behavior and behavioral diversity, including foraging, territoriality, communication, mating systems, sexual selection and social behavior, with emphasis on evolutionary and ecological interpretations. Individual study of topics in biology arranged by contract with an appropriate faculty supervisor. Observation and activities in professional practice situations on or off campus arranged by contract with an appropriate faculty supervisor. Original lab or field research in biology arranged by contract with an appropriate faculty supervisor. An off-campus experience with an employer, agency, or organization that will provide hands-on experiences. Internships must be initiated by a contract between the student, the provider, and the faculty advisor.